Wohoo! In May, you gained 270% more subscriptions due to more uploads. You just need to upload videos that got the interest of your audience. I got these figures from Youtube Studio Beta Analysis from my YouTube Channel. Keep up the good work! 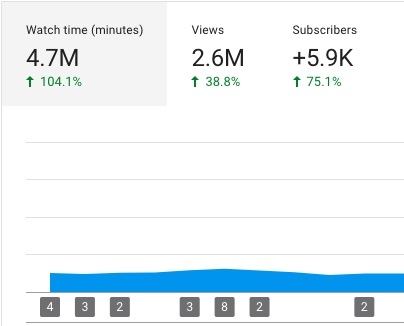 If your channel continues growing at this rate, it will take you about one month to reach 50,000 subscriptions instead of the 4 months it would have taken otherwise.